Nashville’s “Mike’s Song” gave way to a second jam for the first time since 2000. After a slower start to the second set, Anastasio proved in his breezy, white polo that fans can still expect the unexpected. As far as the first quarter of the tour’s shows go, things were nothing less than exciting. With three new songs debuted in the tour opener, fans in Bend were in for a treat. New tunes on the first night included the first set’s catchy “Blaze On,” followed in the second set by the mellow “Shade,” which was complimented nicely by the funky and more up beat tempo in “No Men In No Man’s Land.” Night two lent itself to four more new tunes, and an especially memorable set closing “Simple” followed by an impressive “Bathtub Gin” encore. After an interactive “You Enjoy Myself” to close out the show in Inglewood, California, the band cooled things down in Austin, creating highlights in their slower tunes. 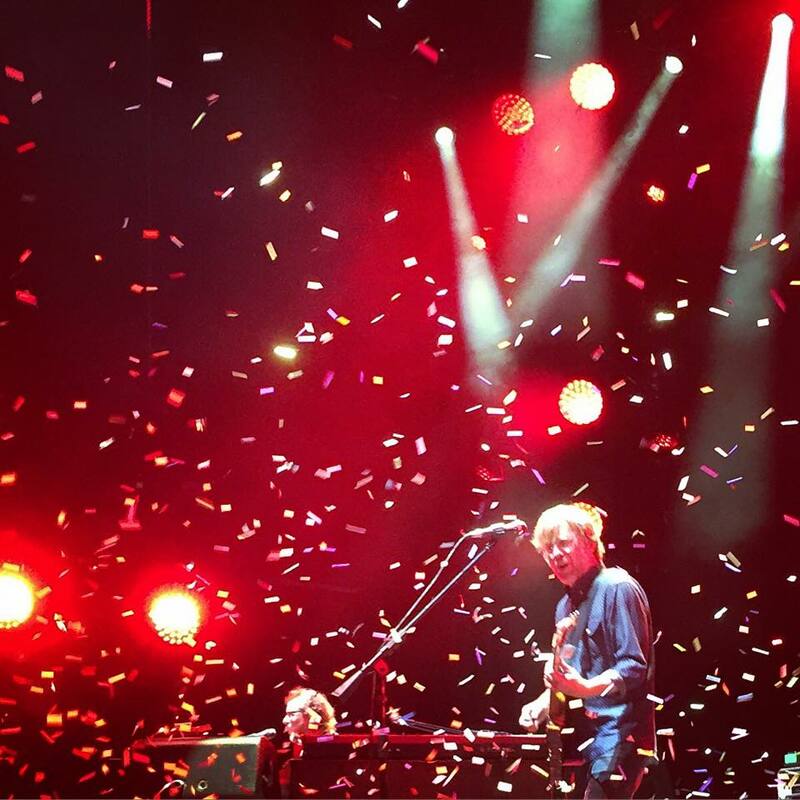 Trey answered to beckoning calls for “Birds Of A Feather” in his birthplace of Grand Prairie, along with a night full of tour debuts including a first “The Connection” since 2010 and a vacuum number by Fishman. Overall, the band seems to be having a good time bringing in new songs and trying different things that may not yet be perfected, but could pull together nicely for a magical second half of the tour. See you in Raleigh!